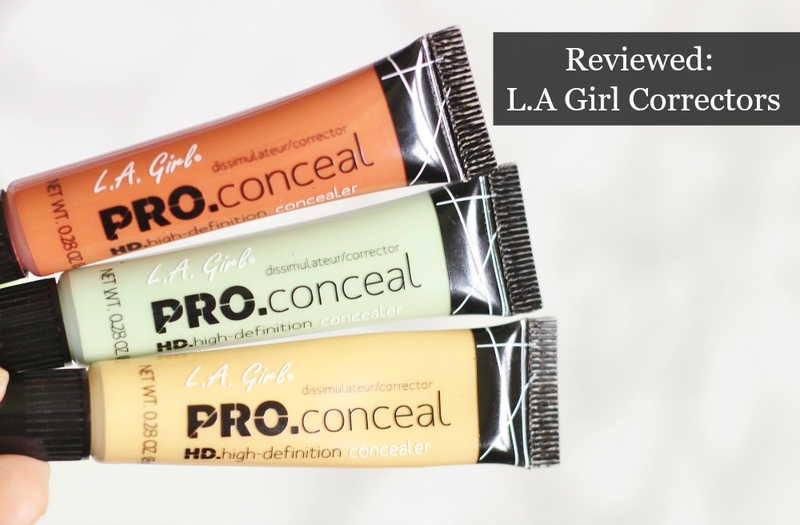 The permanent first position in my most read posts is the L.A Girl Pro Conceal concealers and I’ve also reviewed the shade Creamy Beige which I use to subtly highlight. 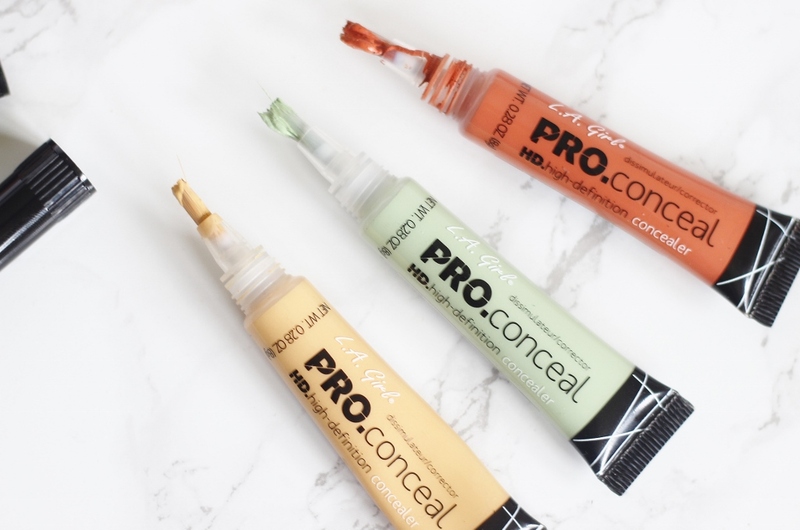 So it probably comes of no surprise to you that when I heard they came out with correctors I logged into beautyjoint without a second thought! There are three correctors in the line so far and to be honest I was excited to try all of them. Most people have a little bit of discolouration on the face and especially those of a south asian ethnicity, so correctors are essential because colour correcting is the key part of make up if you have any form of discolouration on the face. As you may know I’ve started a makeup course online, and though I’m only 17% done (getting there slowly but surely) there is a very detailed module on colour correcting. Way too much for me to take in 100% but enough for me to get the basics down - of which I shall be explaining below! 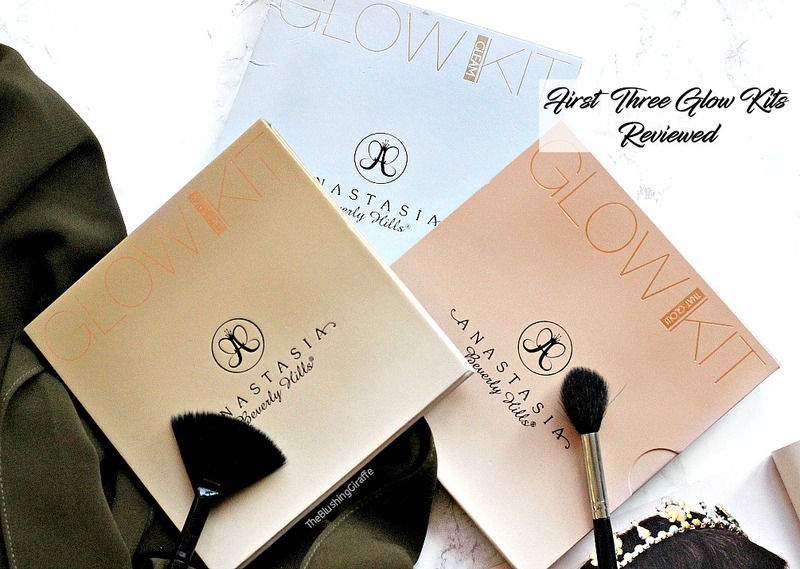 This was undoubtedly the shade I was the most excited to try out because orange correctors are perfect for correcting dark circles. I don’t know where I would be without my favourite Benefit Erase Paste in shade 3 which is a peachy toned and hides away 95% of the darkness, all ready for a brightening concealer on top. I knew the shade would be a deeper orange but nothing could prepare me for just how dark the orange corrector shade is from L.A Girl!! It is MEGA dark and the first few times I used this corrector I just kept applying far too much and even with a thicker concealer over the top, the dark tones of the orange kept peeking through - not a good look. Is this the orange corrector for everyone? No. It’ll be great for those of you who have INTENSELY dark circles which are not blue in tone. It’ll also be great for anyone with dark patches of discolouration and to be honest if this is the only corrector in your price range, it’s worth giving a shot but ONE tip: use the tiniest amount and blend blend blend. Bottom line is it will correct darkness, but it’s not easy to use by any means. Patience and blending are a must! I don't think I would repurchase this shade because I find a peachy tone works much better for me and is less hassle. Plus this tube will last me for over a year as you literally need the smallest amount. The Green shade was another one I was interested to try as it’s essential for correcting redness. I don’t have such strong redness that I have invested in a green primer, but a little bit of this stuff really does correct the redness around the nose and cheeks. Again this is such a strongly pigmented product that the best way to apply this is to take a tiny amount and pat it in-between the two ring fingers, which will sheer it out ever so slightly. As I’ve said above, a lot of product comes out so it’s really important to apply a small amount which will actually corrects redness. The first time I used this I put it on directly from the tube and it showed through the foundation - not a good look at all! So does it work? Yes indeed it does and it’s a step I’ve loved taking when I’m going for a flawless base because the whole purpose of colour correcting is to even out the base before foundation. It’s also excellent for those super red spots. You then only need a small amount of foundation - avoiding any cakey look. I actually love that you need the tiniest amount because it will means the tube will last for ages and though it’s not a step I would take on a regular basis, cause ain’t nobody got time for that, I’m really happy that I have it in my collection for those occasions where I want a more flawless base. I probably would repurchase this in the future. UPDATE: I now have mixed orange and yellow together in a little pot, to make the most perfect shade which actually works for me yaaay! I hope those descriptions were useful for you! They’re extremely pigmented so A LITTLE GOES A LONG LONG WAY. As the texture is fairly thick it’s a good idea to sheer it out a little and again make sure to blend out the corrector so it actually colour corrects and counteracts discolouration, rather than sitting thickly over the top - and then showing through the foundation. You can purchase it from beautyjoint, but I've noticed they've increased their price :( and also their shipping price which is a real shame. So I'd recommend beautybay. 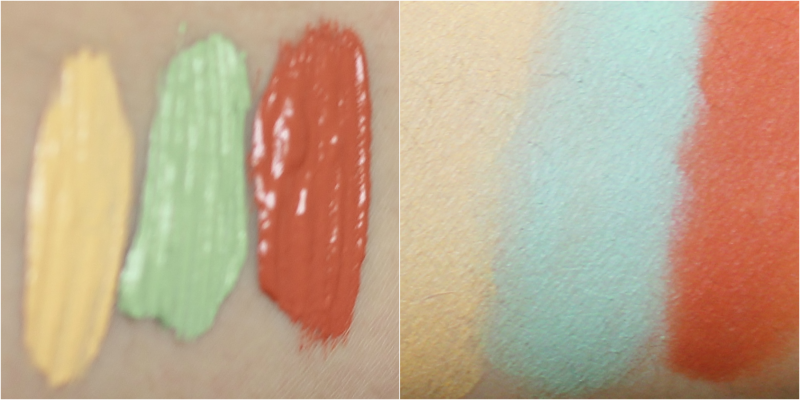 To read my reviews and see swatches of some of the original shades click here. To read the review of my favourite (natural!) highlighting shade creamy beige click here. Have you tried colour correcting?